5 Simple Reasons To Visit San Diego This Weekend! Want to get the best vacation you’ve dreamed of? The only right answer is … visit San Diego, immediately! Do you like white sandy beaches? Or maybe you are fond of huge green parks and plenty of different entertainments? So, it doesn’t matter what you prefer more, San Diego has everything you need! This cozy Californian city is a real gem of the Pacific Coast and its warm climate creates excellent conditions for holidays all year round! Try it and you’ll be fully satisfied! Don’t believe? OK! Let’s check out several reasons why should you visit San Diego this weekend! Just get some cash, take a rental car, set the position in your GPS navigator and enjoy the trip! What is vacation without a beach? Just imagine 70miles of beautiful beaches and crystal turquoise water! Impressed? So, let’s try any of 8 great beaches on San Diego and La Jolla is the best choice! Wide parking, soft sandy bottom, sun lounges rentals, different entertainments and a plenty of eateries – there is everything to get the best beach relaxation! Besides, the entrance is absolutely free! 2. Go to the Zoo! If you think that this is an ordinary zoo, you are seriously mistaken! 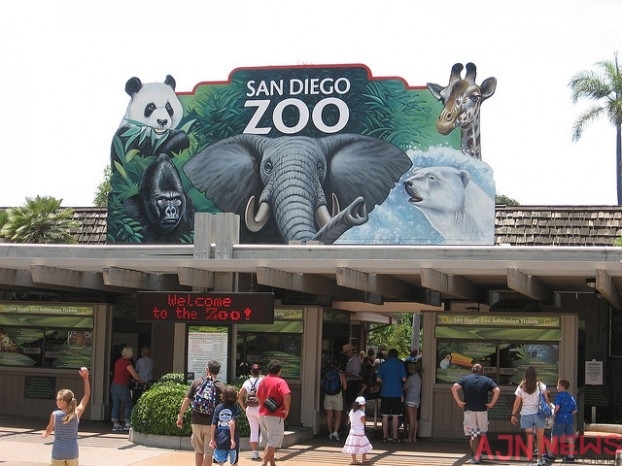 San Diego Zoo is the world-famous huge zoo, one of the largest (occupying an area of ? ?over 40 hectares) zoos in the world, which is the home for approximately 4,000 animals of over 800 species, including very rare and endangered ones. It’s a great place not only for the animal-viewing, but also for a nice family day out! So, visit this wonderful place to enjoy a unique natural attraction of California! 3. Take the Kids to Legoland! Do you remember Legos? Visit the park to enjoy about 50 amazing rides, water park, sea life aquarium and different theme entertainments such as “knight kingdom”, “mini-land of U.S.”, “adventure country “, “Pirate Coast” and much more! You’ll also find several interesting things not only for your little ones, but for yourself too! 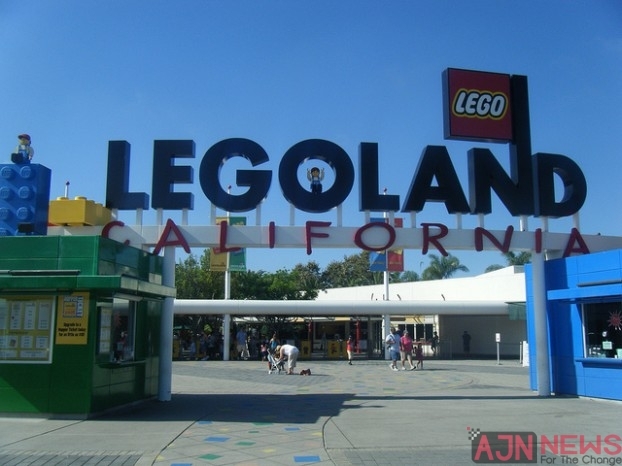 Don’t miss your chance to visit Legoland, because only 4 such entertainment parks are in the whole world! Admission: 1-day pass: adults $92, children (3-11) $82 + 2nd day free! 4. Explore the USS Midway Aircraft Carrier! Get ready for a lifetime memory aboard the USS Midway Carrier! USS Midway is the longest-serving Navy aircraft carrier of the 20th century. This gorgeous place will help you to immerse into 50-years history of US Navy and explore the largest military ship in the world from 1945 to 1955! 5. Take a Harbor Cruise! 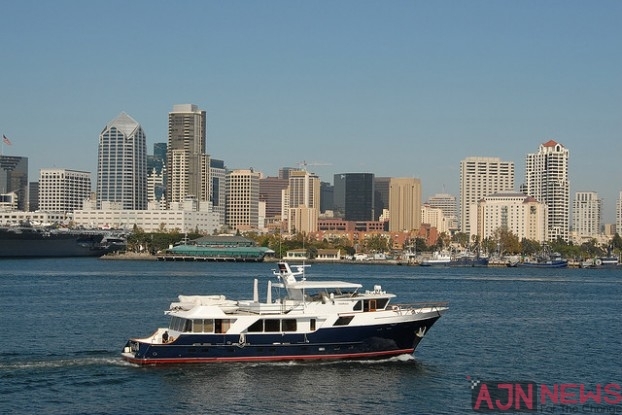 San Diego Harbor Cruise is the best way to catch unrivaled views of the city! Relaxing journey, fresh sea air…what could be better? Plus you can make some incredible photos of the downtown skyline and also of the USS Midway! And don’t forget to bring a sweater, as it can be cool on the water! Where to get a Rental Car in San Diego? If you haven’t decided where the best location to get a rental car is, pick it up directly at the San Diego Airport! Why should you waste your time waiting for taxis or buses? Put your stuff into the trunk and drive with comfort! So, don’t be slow, just follow http://usa.rentalcars24h.com/san-diego-airport, make a booking, and your car will be prepared upon your arriving to the airport! Have a Nice Weekend in San Diego!